1. The name of all the continents ends with the same letter that they start with. 3. People say "Bless you" when you sneeze because when you sneeze, your heart stops for a millisecond. 4. The "sixth sick sheik's sixth sheep's sick" is said to be the toughest tongue twister in the English language. 5. If you sneeze too hard, you can fracture a rib. If you try to suppress a sneeze, you can rupture a blood vessel in your head or neck and die. 7. All polar bears are left handed. 8. Elephants are the only animals that can't jump. 9. 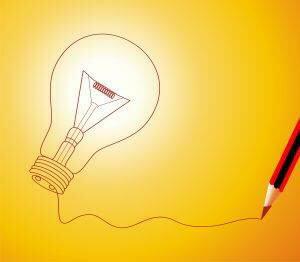 The human heart creates enough pressure when it pumps out to the body to squirt blood 30 feet. 2) What does this equation simplify to? (x - a) * (x - b) * (x - c) * ... * (x - z) =? 3) Starting in the bottom left corner and moving either up or right, adding up the numbers along the way, what is the largest sum which can be made? 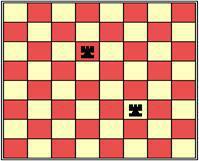 4) How many squares, of any size, can you find on this chess board which do not contain a Rook? 5) What four digit number has digit 1 three less than digit 4 which is one more than digit 2 which is twice digit 3 which is not a prime number and is one more than 1/3 of digit 4? 2. Answer: "0" since one of the terms is (x - x).